It's been nearly ten years since the ear-chomping pugilist "Iron" Mike Tyson has appeared in a video game but he's back and looking badder than ever. 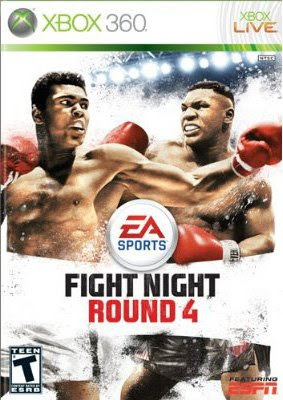 Of course I'm talking about Fight Night Round 4, the latest game in EA's venerable franchise and the reigning champion of the boxing genre. Since the game is hitting store shelves today I thought there is no better time than to give everyone here a good overview of what you can expect in the game. I'm trying a new format this time so hopefully you like the presentation. Are You a Retro Game-a-Holic? How Long Can The PSP Last? AMP Rock Off: Massive Coverage Kick-off! What Was Your Favourite Game From E3 '09?